India is a country of mysteries yet to be solved. And in this list of secrets is a 1000-year-old temple of Dholpur, Rajasthan. What makes this temple unique is the Shivling that changes colors three times in a day. The temple located in Chambal, a remote area, is gaining popularity with the passing days. Several researchers have failed to theorize the reason behind the changing color of its Shivling. The Shivling during the morning is red. As afternoon takes over, it changes its color from red to saffron and eventually transforms into the black during the night time. A great example of “Shiv Ki Leela Mahan”, this temple has left many researchers spellbound with its magical Shivling. To be a spectator of this extraordinary act, the devotees flock the temple throughout the day as they believe it would fulfill their wishes.Unmarried couples or the people seeking problems in getting married visit temple to find their perfect match.They throng for Lord Shiva’s blessings. The temple is said to be constructed in somewhere around the nine century. Built around the toe print of Lord Shiva this is the only temple in this world where his toe is worshipped. 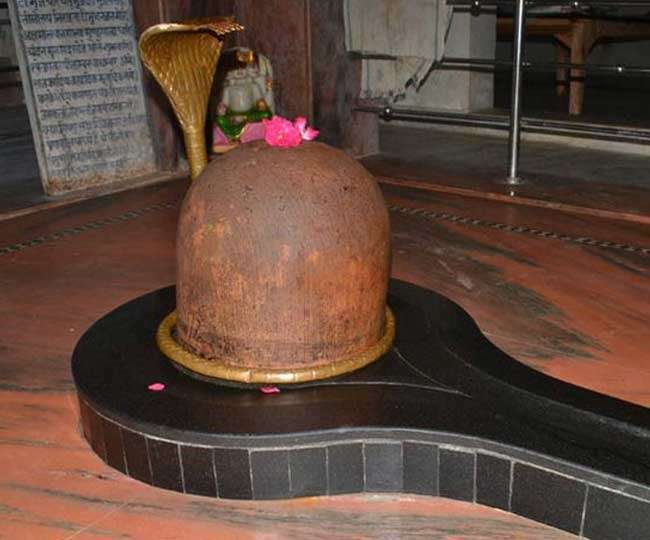 It is believed that this toe of Lord Shiva keeps the world in proper order and reaches the very center of the earth. The temple also houses Nandi made of brass and three bulls situated near the pond area. According to a legend, this temple is a place of miracles not only for the changing colour of shiva linga but also for thousands of bees which came out of Nandi when Muslim invaders tried to attack the holy shrine. Another mind-altering fact is that the length of Shivling below the ground remains unknown. Even after a hundred attempts of excavating and trying to find the length the people have failed to measure its roots. Alos, a few years ago when ASI was examining this area when a water stream started to flow out of Nandi’s mouth. The temple since then is known to be highly valuable. The temple from its Shiva linga that changes colors to the rumored stories is a place of amazeballs. Due to its prodigious presence, the temple has started to attract more and more devotees.